New features in iOS 11 make it easier to avoid the dreaded "Storage Almost Full" message. Running out of storage space on your iPhone or iPad is a total drag. It slows down your device and can make it impossible to download files or perform other essential tasks. With iOS 11, Apple takes some serious steps to free up space on iOS devices. Here’s a quick look at how Apple will ease the pain when iOS 11 lands this fall, with instructions for taking advantage of the new features. 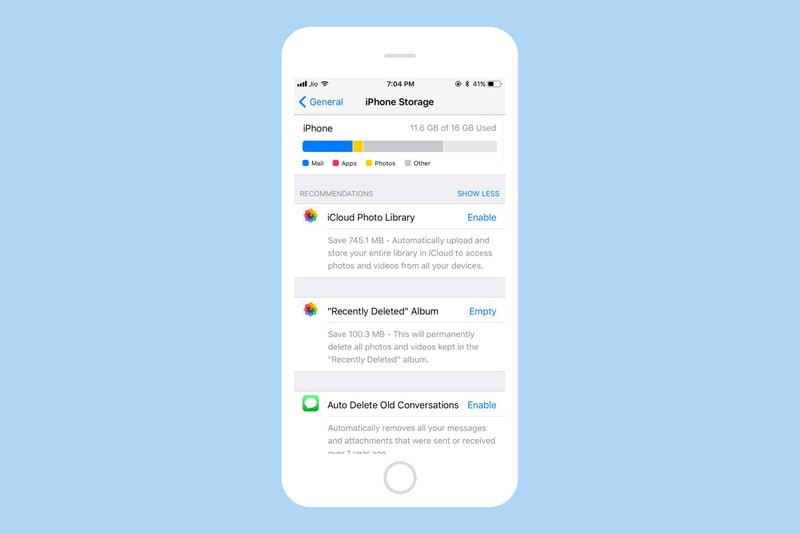 These features built into iOS 11 will come in handy for anybody in danger of maxing out their device’s storage capacity. Some work automatically, but others require a bit of user intervention. From smarter file management to entirely new options, iOS 11 really does make it easy to reduce bloat. 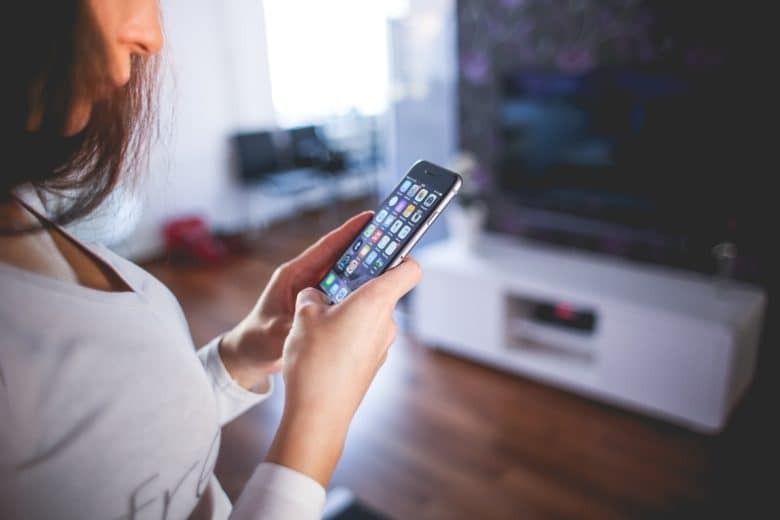 These features should prove especially useful to anyone using an older device with a skimpy 16GB of storage. Here’s how to take advantage and lighten your device’s load once you’re running iOS 11. 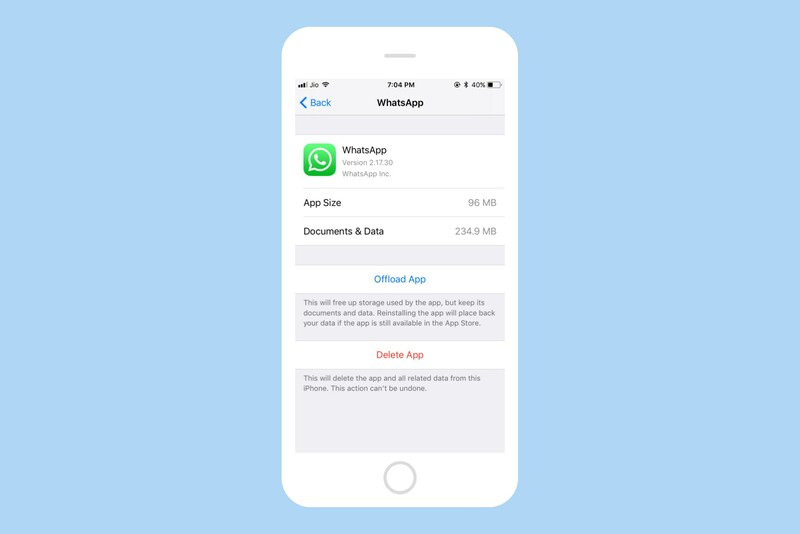 Offloading an app deletes it but keeps documents and data so you can restore it later from the App Store. If you’re someone like me who tries a bunch of apps but never uses them later, this feature might get you excited. Essentially, iOS 11 can automatically delete unused apps without deleting their documents and data. This works well, particularly for large apps that store a small amount of data. Space-hogging apps also can be removed on demand, without worries about deleting associated documents and data. If you reinstall the app from the App Store later, its data will be restored automatically. iOS 11’s new storage management section offers recommendations to free up space. iCloud Photo Library: iOS 11 offers to automatically upload your entire photo library to iCloud, saving you space on your iOS device. “Recently Deleted” Album: Pictures removed from the iOS Photos app remain in the “Recently Deleted” album, queued up for obliteration. iOS 11 gives you the option of deleting this album permanently with one tap. Auto Delete Old Conversations: This option can remove all iMessage messages and attachments sent or received more than a year ago. Review Personal Videos: This option lists all the videos taking up valuable space on your device, then gives you the optionto delete them. HEIF offers better image quality than JPEG. Better yet, HEIF images come in roughly half the size of JPEGs. For more than two decades, JPEG served as the web’s de-facto image format. With iOS 11, Apple replaces JPEG with High Efficiency Image Format, or HEIF. And with good reason: HEIF files look better and come in at up roughly half the size of JPEGs. Essentially, this means you can store twice as many photos in the same space. HEIF also might be a viable replacement format for Live Photos and GIFs. 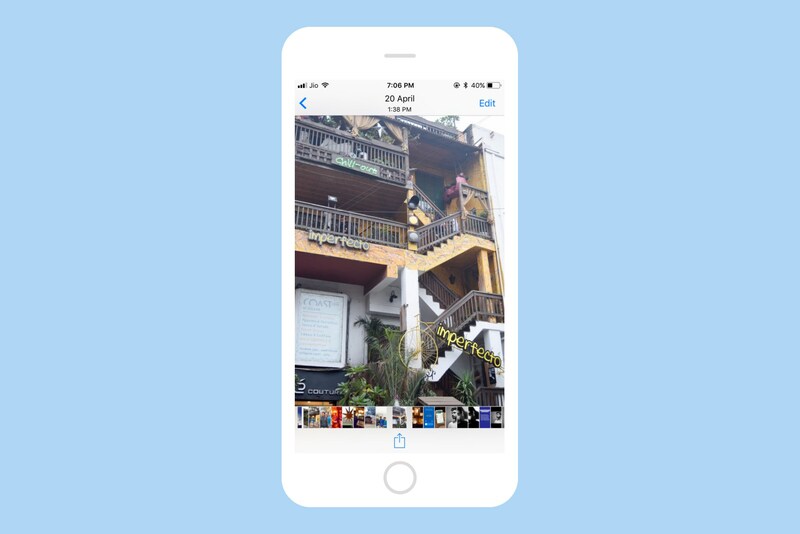 iOS 11 uses HEIF as the default file format for photos, but converts HEIF to JPEG upon exporting to maintain compatibility. For more details on the format, read our explainer: Everything you need to know about the JPEG-killing HEIF format Apple is adopting. Apple offers 5GB of free iCloud storage to all Apple users, but that might not be enough considering the increasing reliance of iCloud in iOS 11. So, the company doubled the high-end iCloud storage plan from 1TB to 2TB, while keeping the price tag at $9.99 per month. Unfortunately, entry-level iCloud plans did not get the same treatment, but at least Apple is taking a step in the right direction. Also, multiple users can share an iCloud storage plan with Family Sharing in iOS 11 and macOS High Sierra. While not an iOS 11 feature, this certainly reflects Apple’s efforts to mitigate iOS storage woes (albeit by leveraging the power of iCloud). Also, the new 12.9-inch iPad Pro comes with up to half a terabyte of storage (512GB). While it might seem like overkill for some people, that level of storage could prove essential for those who consider the iPad to be a legit replacement for Mac. With all these improvements, Apple seems totally committed to tackling storage problems on iOS devices. We couldn’t be happier.